Never heard of Superfashion, what is it? Superfashion is a complete new approach to fashion design and clothing, a holistic and alchemical well-being invention. It is slow fashion, timeless yet trendy to cover all needs of our daily clothing in One. People know the consept of Superfood. The demand for organic and non-GMO foods and products is so high, that the supply can barely keep up. New farmer’s markets and health-oriented stores and restaurants are opening up everywhere, creating options for people to take good care of themselves. Next step is Superfashion. First locally, then globally. 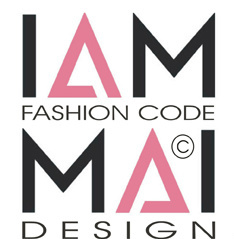 Some of the users have been testing IAMMAI superfashion for a while now and experienced the multiple benefits of the consept. Many already have the Magic Wardrobe. Superfashion works mainly with the same principal as Superfood: it gives lifeforce and simplifies life with the idea Less is More. It solves your wardrobe problem in a big way. That is why I call it the Magic Wardrobe. Few years back I had a vision that soon will be a time time and age when we require pure food and pure garments for the well being of our body, mind and soul and Mother Earth. The time is now! IAMMAI is a holistic sustainable win win philosophy: you win and the environment wins. It is completely the opposite to fast fashion that produces tons of non-degradable garbage waist to load the nature. Garments that fall apart on us but not in the nature being synthetic and non recyclable. Fashion that has exploited also women and children cannot last long in the new reality. we move from materia to immateria, from concrete to virtual and we start using the means of art, handicraft, symbolism in human communication. It is the age when it is possible to experience pure joy of living and the liberation of old beliefs especially of ageing. The consept of time changes, we move into NOW time, cyclical time to being present in the Flow, where is all the knowledge. We also move into 5 D reality = (Hight, lenght, altitude, time, union of matter and spirit). Our body systems go though a massive tansformation resulting on a finer vibrarional structure that need matching clothes. 21 st Century is the Age of Feminine liberation, the new Balance, of soft business culture, era of Win Win principle, Heart leading life & business, implementation of soft skills, personal growth, caring, sence of community, team work, spiritual leadership, braking the glass ceiling. In all the time when the other half of humanity`s skills and potentials are implemented. That is why the feminine inventions like IAMMAI will attract the attention of consumers ore and more and eventually media will catch up as well. On what needs is superfashion based on? There is a new understanding of energy and how the garments we wear can affect our energy, health and how we feel emptionally. Increasingly many have become sensitive to toxic materials and dyes. According to Quantum physics all materia reacts to love. The production methods of the mass produced garments are creating a negative energyfield in the garment that can be sensed. So there is a real need to find pure ethically made garments to match the new vibration of the body! It is the same with food. Our body refuses to take in food that that not healthy. WE may try, but in result we feel unwell. All this is individual and that is why we need to find our own individual needs to cope with our new body system. Closet full of clothes, but nothing to wear – problem? One day I personally realized that I had bought my closet full of clothes that were not mine and my body resisted. Jackets, skirts and trousers that did not even fit me and that I thought I ought to wear according to the fashion trends. They were the ones the shops were full. I felt total stranger in them. Not comfortable at all. I am 5 ft 2 " tall and the only clothes I could find were childrens clothes anyway mostly. So there was another poblem: Shops full of clothes, but nothing to buy. Had to do something about it. I am a fashion designer myself so I had the means to create the new kind of fashion I felt at home, good and myself in. The solution was one size fashion that would fit most sizes, are all age, all event and all season outfits and accessories that are combinable together. Outfits that funtion anywhere, also on travels. The idea is to recycle the excisting wardrobe or the mass produced garment by combining them with superfashion. There was and is a hunt for ecoluxury clothing going on, but they can be quite costly to many. So I opened my https://www.mainiemi.com/ superfashion store that sells midprice affordable ecoluxury. What makes a superfashion garment? I listed once of the alchemic ingredients of IAMMAI. The design process is very sacred and done in collaboration with nature and Source. We need to do teamwork with all the levels of creation not to make mistakes like reinventing something like plastic again. Some one once said that we need to create like we would create to angles as they will play in our creations forever. Flow, Freedom, Timelessness, Agelessness, Pyramid science, Self Love, Love, Living from the Heart, local traceable production, Non violence to the Body, (Ahimsa), Fashion yoga, Hand made, Joy of womanhood, Honor of body, Play, Playfullness, Right and left brain hemisphere, Sacred Matter, Divine feminine, Art, Art theraphy, Sustainable fashion, Creativity, Rituals, Initiation, Roleplay, Shamanism, East and West, Nature materials, Nature Connection, Nature elementals/elements, Nature collaboration, Nature forms, Practicality, Multipurpose, Multiexpressive, Oneness, One size, Tangible experience, Beauty, Sacred Geometry, Holisticity, FengShui, Color, Form, Motion, Movement, Energy, Symbolism, Mythology, Myths, Archetypes, Kalevala, Silent knowledge, Ecology, Ethics, Spiritual aspect, Ancient wisdom, inbuilt recycling concept, combinable outfits, renewing the existing clothes, Abundance, New Earth 5D fashion, fantasy, runes, Future Memory, Rembrance of True Self, transforming, Empowering, Heaven on Earth ..and much more. You become visibile and magnetic, connect to your true beauty and strenght. Superfashion is the best rejuvenative face lift. You get more self confidence. They simplifie your life, your clothing choises and frees from shopping if you are not so fond of it. They are figure friendly: you are always the right size, no need to lose or gain weight. They bring out the best of your figure. Superfashion saves Money and Time and Nerves! You can shop less and instead renew the good quality clothes you have. You can fall in love with your surerfashion quality garments that are totally trendy and timeless the same time. They last time. You learn to value your own uniqueness. And also others. Your relationships and career improve when you dress your authentic self. You connect easier to others as you stop hiding your true self. You learn to love yourself and your body, loving yourself as you are. You connect to your body and your unique rythm flow. You learn to dress your true Self and your inner self as well. You notice how your garments and accessorie choises affect how others experience you. You learn to use colors and their information and to understand/feel the uplifting effect of the colors to your daily life and surroundings. Flow is the natural state of ease, when you don´t have to struggle. Flow energy is to be in the Heart and act from the Heart. Flow is born by following the Intuition. It is the true source of abundance in life. It is born by following your own heart and path disregarding the opinions of others or the pressures of social norms. Matter and spirit, where visible and unvisible worlds unite. Flow is a state of mind, where we feel we are in the supporting Stream of Life. In that state we are in total harmony with ourselves and with the world. It is the state where we have completely accepted ourselves and all our essence.